I suspect it’s hard to love a REALTOR®. We get up early and don’t have time to drink coffee over the newspaper or engage in small talk. We come home late and are often too tired to cook. We work extra because we know there are families who need us. We don’t get too excited over a minor crisis because we deal with several all day; we have seen far worse. We don’t want to talk when we come home; we have talked all day. We don’t want to move when we come home; we have moved all day. It may seem that we’ve left all our caring, our heart, and our love at work, then come home to you empty. We probably have. … scared we are missing something. Scared we will let our clients down or leave some items unfinished. Scared to go into homes with people we have literally just met. We have to deal with lockboxes that won’t open, showings with poor showing instructions, Cujo sitting on the sofa when the listing states “no pets”, with angry clients, other agents, title and loan officers, and all the while do our best to help them. We don’t tell you how the chaos affects us, and how stressed we are with the bajillion things we go through in a day. Your REALTOR® needs your love. Needs your understanding. Needs to be taken care of. Needs to know that you “get it”. 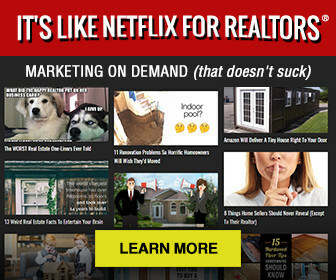 Needs you to do the hardest work you may ever do, which is to love your REALTOR®. Thank you to those out there who love us and let us do this work. This calling. This life of a REALTOR®.